When it comes to family adventure holidays near Delhi we are spoiled for choices. We living in Delhi or National Capital Region (NCR) are just a hop away from Uttarakhand, Himachal Pradesh and Rajasthan, all hot beds for family friendly adventure vacations. When I say family it means my husband, my daughter and me. We take our niece and nephews on vacations as well. However, as both my husband and I were full time family adventure holidays often meant traveling with my daughter only. It has been rare when the three of us went on a trip together! Now that I have quit my job, I hope our record improves! For me, the top family holidays have been the following. A lot of people travel to Manali but not beyond. There is a different world out there just a little beyond Manali. 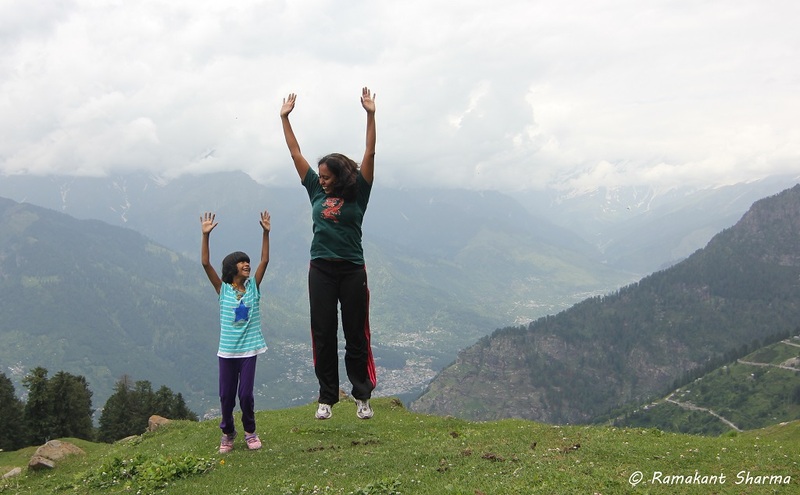 My daughter Chhavi and I started our adventure from Jagatsukh which is just six kilometers away from Manali. Our favorite guide Ramakant Sharma lives there. He is a brave soul. He took two moms and two kids on a baby trek to Jamadi along with his team. We kept things easy, as far as walking was concerned. We walked for three days in all. The kids found the going tough only on day two. Chhavi loved collecting wild flowers the most and she liked the rains the least! That was her feedback about our Jamadi Trek! Deoria Tal is a beautiful lake near Ukhimath in Uttarakhand. The nearest village head is Saari. The lake is a 3km uphill walk from there. 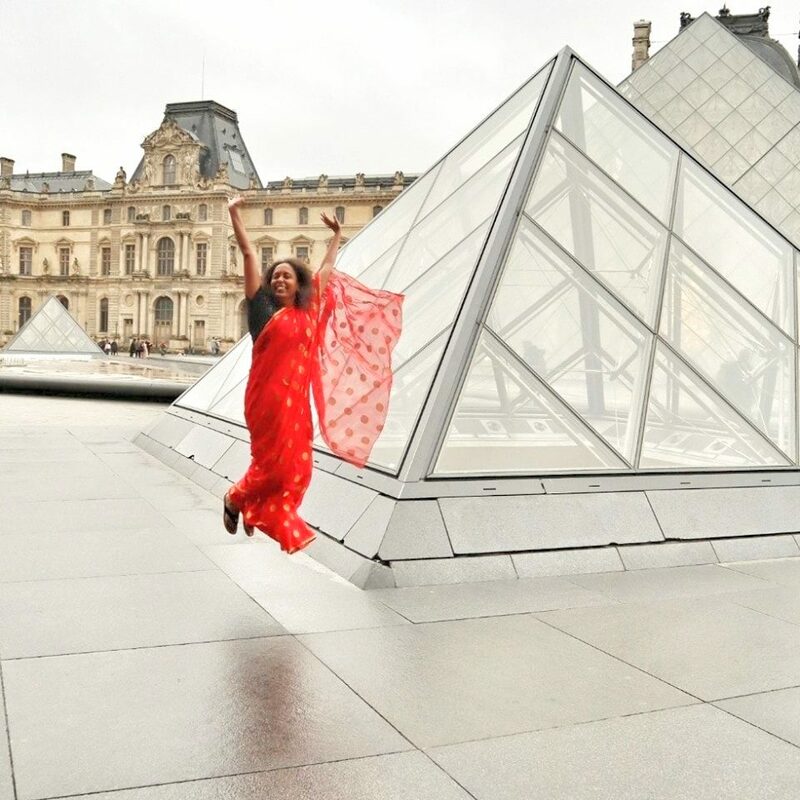 Chhavi was way too small when we went there. She went up sitting on a pony and she came down walking all the way. 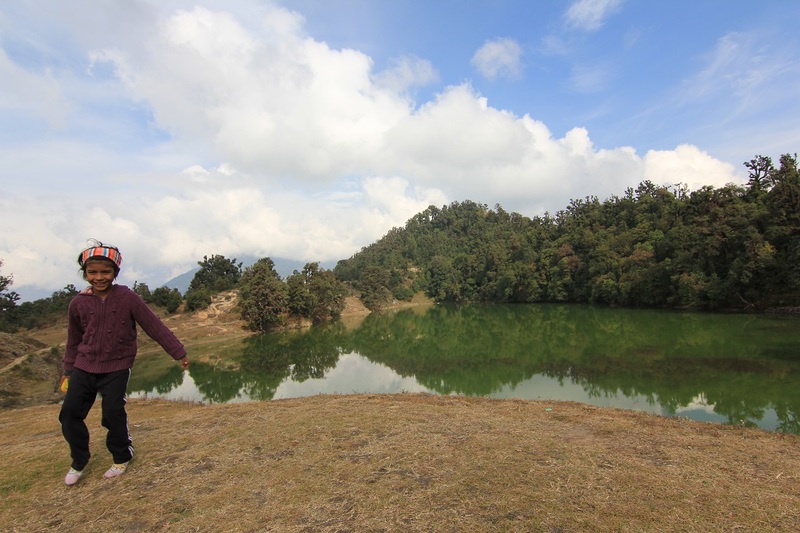 The lake gets gorgeous reflections of the Himalayan range, particularly Chaukhamba but all we got was clouds. I was disappointed but the kid was not. She was busy making parathas at the dhabha and talking to the local lady who gave her wild walnuts to eat. Chhavi shared her biscuits with her in return. Chhavi trekked to Triund with Seshadri last year. She was supposed to go on a horse back but the pony guy ditched them midway. The girl walked the rest of the way on her own steam! But it was too tiring for her. The altitude was also high for her. They ran away to Kareri Lake the next day for some relaxing times ahead. Kareri is a small village near Dharamshala in Himachal Pradesh. The lake by the same name is about 10 km away from the village. Chhavi and Seshadri visited Kareri Lake together, I could not manage leaves then. Chhavi once again went on a pony to the lake. That is where she saw the snow for the first time and tried making a snowman too! At the village homestay is your only option. Crawling in Sand is so Much Fun! Chhavi is too small for rafting as of now. 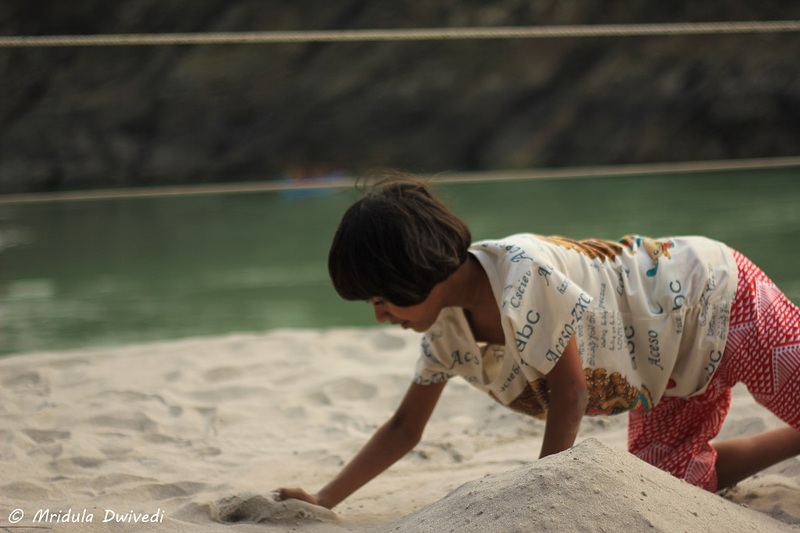 But she had a gala time camping by the river Ganges near Shivpuri. Shivpuri is close to Rishikesh. Her hot favorite activity was playing with the sand. She is way past the age of crawling. But she was so excited to live by the sand that most of the time she was crawling on all fours! She had a gala time trying her hands at kayaking too. I would say take your child to a wild life sanctuary instead of a zoo! They would appreciate the animal kingdom better. 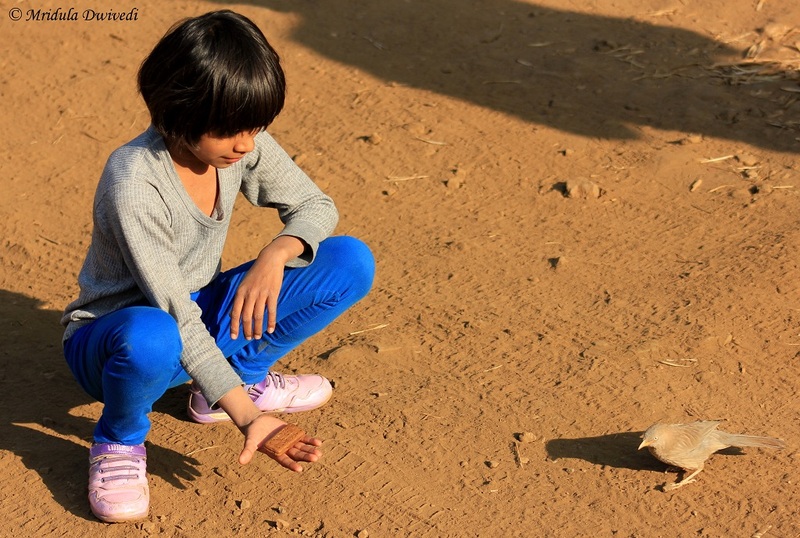 Chhavi has been to Sariska at least 4 times now. Sariska is close to Delhi, even closer from Gurgaon. If you are fond of driving you can take your car. If not taking the Shatabdi Express train makes perfect sense. Get down at Alwar and take a local bus to Sariska. I hope my post gives you some adventure family holiday ideas that you can enjoy as well!